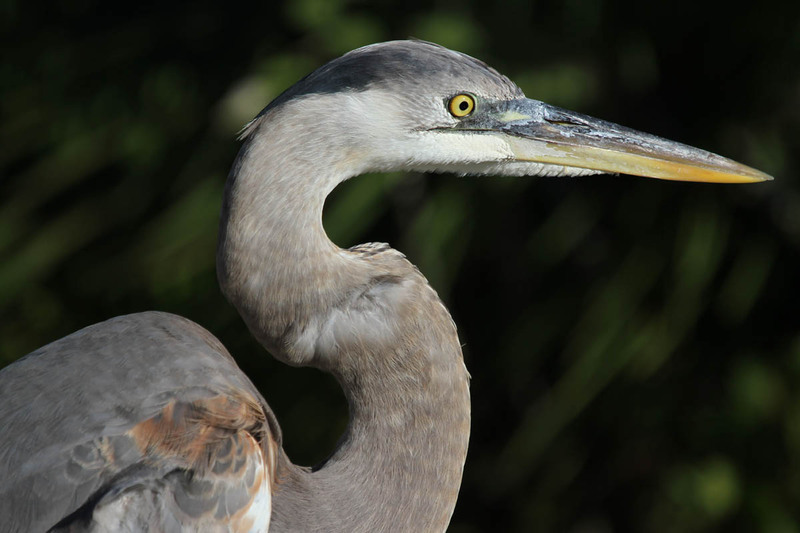 How do herons, egrets, bitterns, kingfishers, loons and other fish-eating birds with spear-shaped bills capture their prey? Do they use their bill as a spear and pierce through a fish, or do they grab the fish between their mandibles? You often read about one of these birds “spearing” a fish. However, a majority of these birds, most of the time, do not spear fish, but open and shut their bills fast enough to capture a fish in them — the spear shape of their bill lends itself to the tong-like action it performs. In addition, its shape enhances the movement of the bill through the water as the bird dives (its head or body) into the water to grasp the fish between its upper and lower mandibles.